21, 23, 25, 27 Stevens Drive. Freehold. 48 units. Completed: 2000. Near Bukit Timah Road and Stevens Road area. 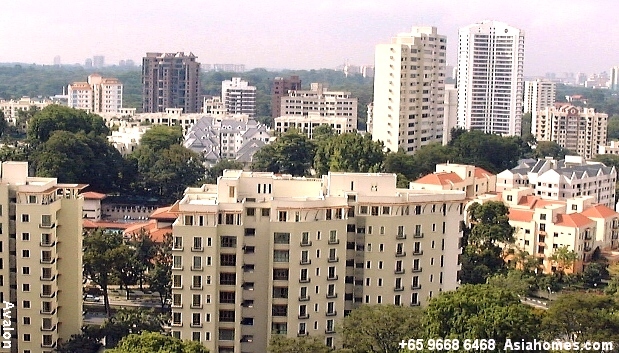 Low rise, low density, 3-minute drive to Orchard Road. Children's playground faces the busy Stevens Road but the apartments face the quiet Stevens Drive. White block of building. Swimming pool (20 m), jacuzzi, steam room, 1,300 sq. ft gym at the basement , children's playground, basement covered car park, 24-hour security. No tennis court. No balcony but a patio is present in the 3000 sq. ft ground floor units. This patio (described by the developer as PES = private enclosed space) can be as large as 280 sq. 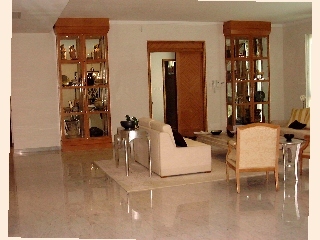 ft.
3.2 metre-high ceilings in 4th floor and around 3 metre-high in floors 1-3. 5-min walk to Steven Road. Quiet resort ambience. Low rise, 4-storey, high ceiling with skylights. 12 "penthouses" with 3, 4 or 5 bedrooms in different blocks. The top floor is the 4th floor which is called "penthouse". 4-bedroom 2400 sq. ft, 16 units. 5+1 3200, 3300 sq. ft, single level. Parc Stevens' pool with children's pool in the background & water spouting fountain. Most ground floor units appeal to Caucasian expats with small children. They command higher rents, despite the lack of privacy. 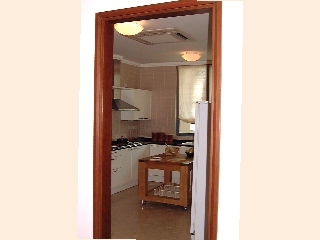 Ground floor unit with PES (private enclosed space) of 280 sq. ft for Parc Stevens. 5+1 has got a private lift lobby (outside door) with a powder room and private lift. Kitchen is opposite the living set. Bedrooms are on the right and left of the kitchen. 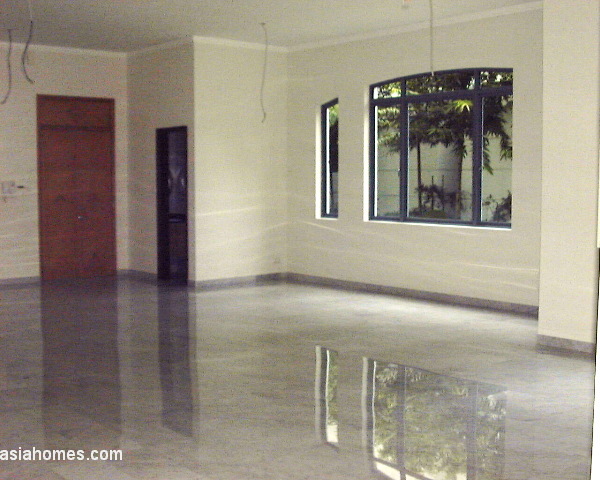 White marble flooring with light grey streaks in the living & dining areas. Ducted air conditioning, so you will not see hanging wall units. 4+1 2400 sq. ft $10,000. Private lift is outside main door. Powder room is to the right of the door. Living area. Kitchen is on the left. 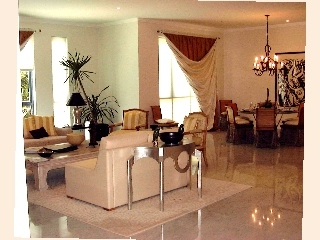 The high windows and spacious living and dining areas with white greyish streak marble flooring. White marble flooring makes the living area look bright and bigger Unblocked views of the front and guard house from a 4+1 2400 sq. ft unit, 4th floor. Master bedroom with walk in closet and wooden floor boards. Master bathroom with unique expensive tiles, dual basin on granite counter top & shower cubicle or stall (right side). Living/dining areas behind main door, leading to 2 bedrooms on either side of a passageway for the 4+1. Kitchen is on the right near the main door. White long bath with its shower & bidet in the bigger units. Electrical points for the shaver & hair dryer. Note air conditioning of kitchen. 3 new upscale condos have an air conditioned kitchens. This include Grange 70, Grange 80 and Parc Stevens. Complete kitchen set and big fridge. White kitchen cabinets. 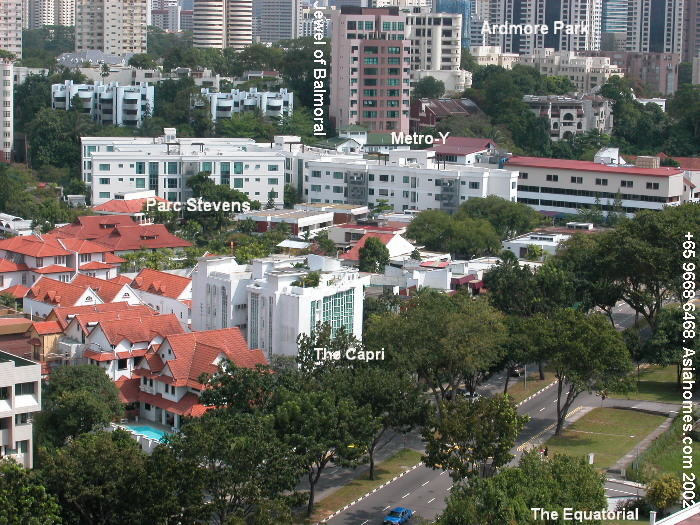 Parc Stevens are the low rise white building (right half), above trees and the Stevens Road which goes to Orchard Road and the American Club in a 5-minute bus ride. Advantage of low density and low rise. The Draycott is the circular high rise condo in the background. The American Club is next door. The Marriott is the pagoda roofed building. The Orchard subway is near The Marriott. Note the 2 tall "blue roofed" buildings on top right. These are the Ardmore Park condos, completed in June 2001. 2-min walk to the American Club. Brand new. UPSCALE full condo facilities. These will attract many Caucasian expatriate tenants with over $12,000 rental budget in 2001 and 2002, at the expense of the not so well located condos like Parc Stevens. How does Parc Stevens, completed in 2000 measure up to upscale Nassim Woods? Parc Stevens 4-bedroom 2411 sq ft, $12,000. Sale $4.5 million. Case study written in 2002.
of neighbours upstairs and dual basins in the master bathroom. You have 2 small kids. Your wife wants a new houses as she dislikes noisy neighbours upstairs. But there is no pool in a new house close to downtown if you have a $12,000 budget. Unless you live in the suburbs or in Woodlands, north Singapore. With a S$12,000 rental budget, you can afford an upscale condo of 2400 sq. ft downtown. Do you want to live near the centre of action in downtown Orchard Road or the American School and commute 30 minutes to downtown to work? 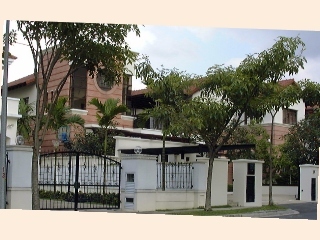 Tel: +65 9668 6468, email david@asiahomes.com to discuss further the pros and cons of living next to the American School. Avalon, (foreground), off Anderson Road, is near Orchard Road. To the right is the Balmoral Road area (red-roof low 1 Balmoral Road condos, off Stevens Road). Stevens Road leads to Orchard Road in a 3-min bus ride to the far right of the image. The tall white buildings in the background is Wing On Life Gardens which have huge bedrooms and balconies. 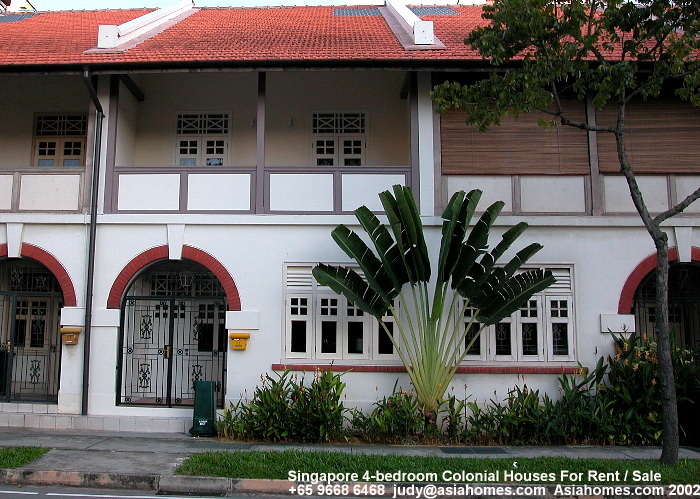 Email judy@asiahomes.com or tel: +65 9668 6468 to rent any of the condos. We find homes: Upscale bungalows and penthouses to the smallest studio! We charge a fee of half a month's rent if the rental budget is below $2,500. Otherwise, house hunting is free. NEAR AMERICAN SCHOOL. An American's favourite bungalow. Woodlands, 2-storey, 4+2, 4,219 sq. ft built-in area on 6,000 sq. ft of land, 8-minute walk to the American School, $15,000. Light well, pastel coloured marble flooring. Bright kitchen, living, dining and family area surrounding air (light) well. No pool excellent layout. Houses with pool, near the American School with pool rent from $15,000. More info at: American School: houses, condos.